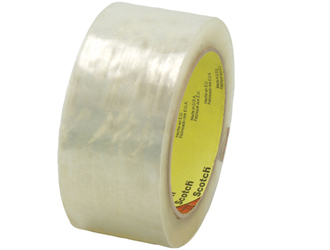 Scotch® Cold Temperature Box Sealing Tape 3723 securely closes heavy-duty corrugated boxes in 30 - 40 degrees F and maintains its strong hold in freezing temperatures. Polypropylene backing is easy to handle and resists abrasion, moisture, chemicals and scuffing to keep packages secure throughout the shipping process. Our backing easily conforms around edges and on rough surfaces for a tight seal.